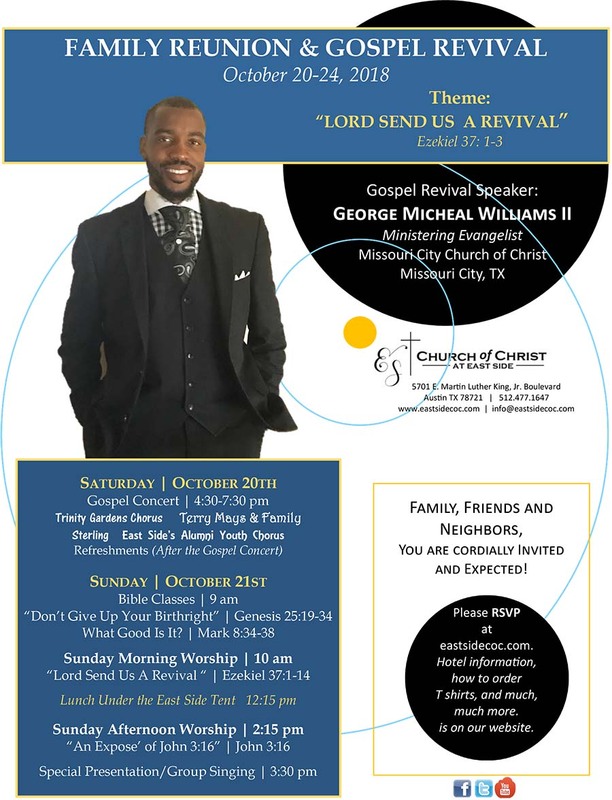 It's a Family Reunion and Gospel Revival October 20-24, 2018 and you and your family are invited. We are reaching out to anyone who has ever called the church of Christ at East Side Austin their church home. It doesn't matter if you are attending another church, spending your Sundays in new ways, or living in a new part of the country, you are welcome to spend the weekend with us remembering all the special moments in this church. Won't you join us for a walk down memory lane?